This post is sponsored by iHerb, all opinions are my own. Summer is the season for tank tops and shorts, beach days, pool parties and backyard BBQs. 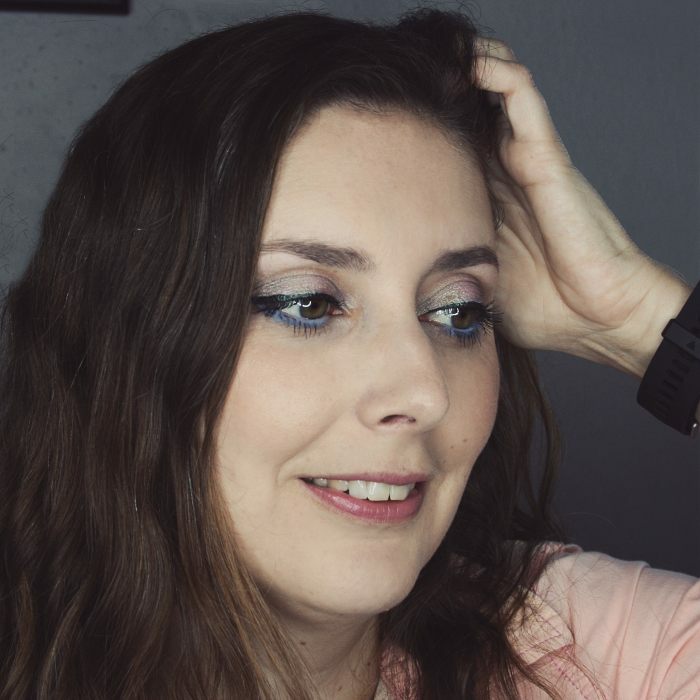 I follow a daily body care routine to make sure that it doesn't also become the season for sunburns and dry, rough skin, despite the heat, humidity and scorching sun! Keep reading to find out how I keep my skin smooth and healthy at this time of year. The three key steps to a good summer body care routine are sunscreen, gentle exfoliation and hydration. Sunscreen is a must because the UV rays not only burn the skin, they also cause invisible damage. Exfoliation is essential because summer weather can leave the skin rough. And of course moisture is much needed when the sun, heat, sand and pool or sea water combine to dry out the skin. With the UV index in San Diego being in the extreme range every day in the summer, I never set a foot outside without covering every inch of exposed skin on my body with a sunscreen (my face too, of course). 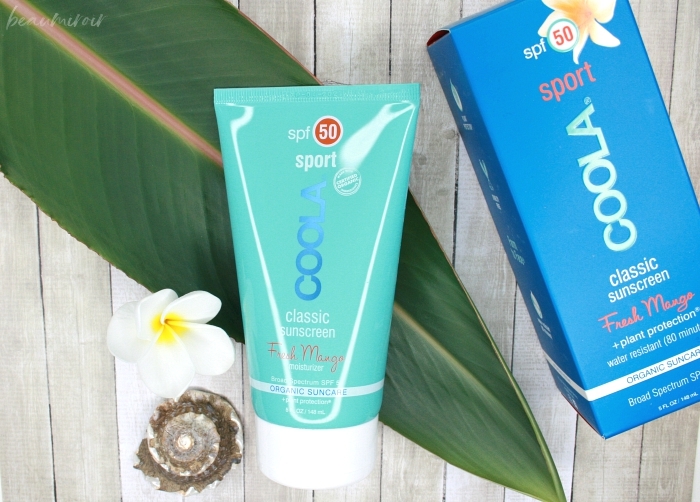 This year I got the Coola Classic Sport SPF50 Fresh Mango ($32), a sunscreen made with 70% certified organic ingredients that include avocado, arnica, plankton and orange, among others. It's very lightweight and sinks into my skin quickly without feeling greasy. It's also water resistant for 80 min which is great for the beach or for active days (I sweat like crazy when I'm hot). I like the nice tropical fruit scent - I tend to avoid scented skincare on my face, but it's not a problem on my body where my skin isn't sensitive at all. TIP: a body cream with SPF is not just for beach days! - Most of us remember to use sunscreen on our face every day in the summer, but many neglect to apply it daily to their body. Living in sunny San Diego, I can't even count how many visiting friends and family members ended up with sunburns just from walking around the zoo or shopping at the farmer's market. You should wear sunscreen on your body whenever you are going to be outside, even for short periods of time. Remember that UV rays don't only cause sunburns, they also induce damage to the skin at the cellular level that leads to premature aging and increases the risk of skin cancer. Don't forget that re-applying regularly is key! After 2 hours your sunscreen is not protecting you anymore. BONUS TIP: don't forget the back of your hands! - Using SPF on your hands daily is the best way to avoid age spots. After a day in the summer heat I love to refresh with a cool shower and a deep cleansing shower gel. 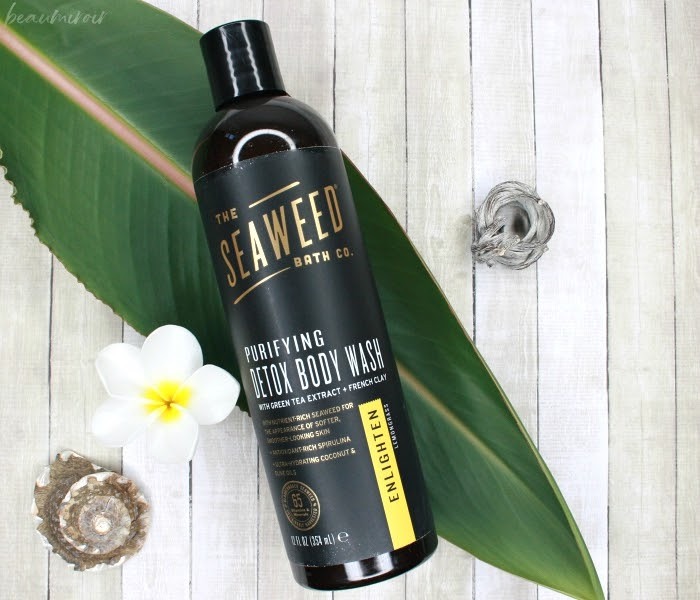 This year I've been loving the Seaweed Bath Co. Purifying Detox Body Wash ($12.96), which contains green tea extracts, French clay and seaweed from Maine, plus 65 vitamins and minerals. It's vegan, cruelty-free and packed with natural ingredients. I got it from iHerb in Enlighten which is a lemongrass scent that I absolutely adore: it's herbal and bright, kind of like a mix of mint and lemon. It's very refreshing and it feels amazing at the end of a hot day or after a workout! I really enjoy the natural formula and I'm now tempted to try the other scents too: there's orange, eucalyptus & cedar or rosemary & mint, both sound amazing! - Showering with very hot water damages the protective layer made of natural oils that prevents moisture loss on top of your skin . It dries out the skin pretty badly! Use lukewarm water instead, and finish with a cool spray on your legs and feet - not only is it refreshing, it helps with the tired, swollen leg sensation you can get when the weather is hot. My skin can get pretty rough and dull during the summer, especially on my legs. Sometimes I also get body acne in areas that are sweaty and where my clothes are constantly rubbing on the skin, like my underarms or the inside of my thighs. Exfoliating regularly helps with both issues! 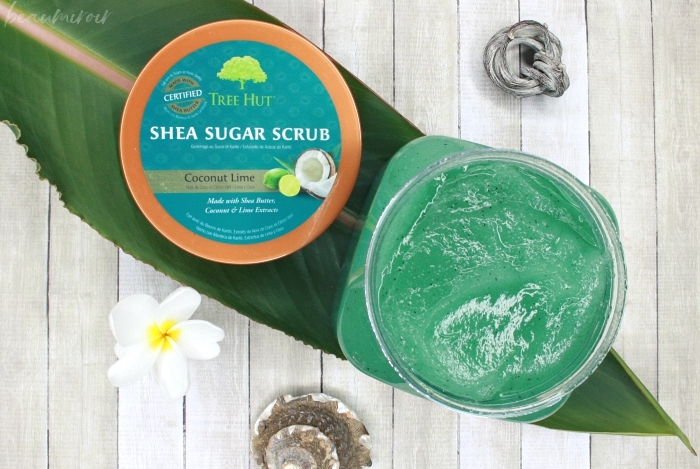 I've been using the Shea Sugar Scrub by Tree Hut in Coconut-Lime ($10.42) for the past few weeks and I really like it. Being a sugar scrub it's not too harsh, but it exfoliates better than many I've tried before that would dissolve in seconds. For me it provides just the right amount of scrubbing, and the nourishing oils it contains help keep my skin soft and supple. There's organic shea, evening primrose, macadamia, avocado and sweet almond oils in there, and it smells like a tropical paradise! - You want your skin to be smooth, not raw. As my grand-mother used to say "this is your skin, not the kitchen floor, so don't scrub it the same way!". If your skin gets red or feels dry afterwards, you're overdoing it. Your goal is to help skin renew itself by getting rid of dead cells, not cause irritation! BONUS TIP: exfoliate for an even tan! - Whether you do spray tan at a salon, use at-home self-tanning lotions, or just get a natural golden color from the sun (always WITH sunscreen!!) exfoliating regularly removes the dead cells from the surface of your skin and ensures that your tan is an even color all over. Whenever I've spent the day in the sun, I like to slather on some aloe gel for the cooling and soothing sensation. It refreshes and hydrates the skin, and it calms any irritation I may have from sea salt, sand or sweat. You shouldn't get sunburnt if you apply your sunscreen religiously, but if that ever happens, aloe gel is a great way to relieve the burning feeling and heal the skin. I'm very picky with my aloe gels as I'm only looking for the purest and most natural I can find. 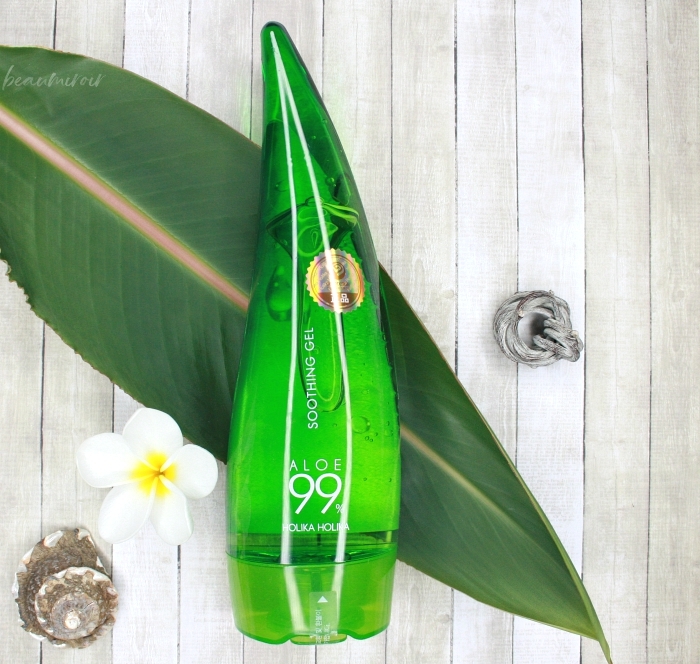 The Holika Holiday Soothing Gel 99% Aloe ($10.35) is exactly that, and it has the cutest aloe leaf shaped bottle! I keep it on the countertop in my bathroom because seeing it always makes me smile. TIP: aloe gel is a great multi-tasker! - You can use it on your face as well as your body. Apply it to any area that's irritated or itchy (like a mosquito bite) for a cooling sensation and immediate relief. Last step in my summer body routine: nourish my skin with the best body moisturizers. I'm a fan of body butters because of their rich texture, and the good ones don't leave the skin greasy or sticky. 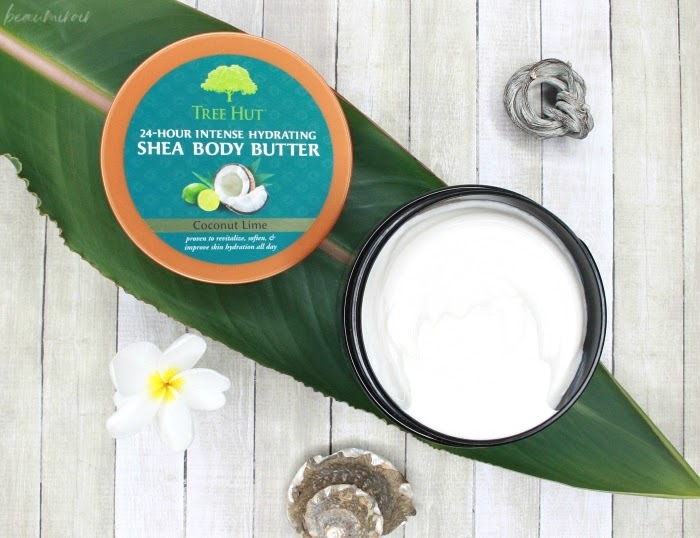 The Tree Hut Shea Body Butter in Coconut-Lime ($7.63) pairs wonderfully with the scrub to give me baby soft, supple skin that looks and feels healthy. It has a luscious creamy consistency that's not too heavy and again it smells like a tropical vacation! 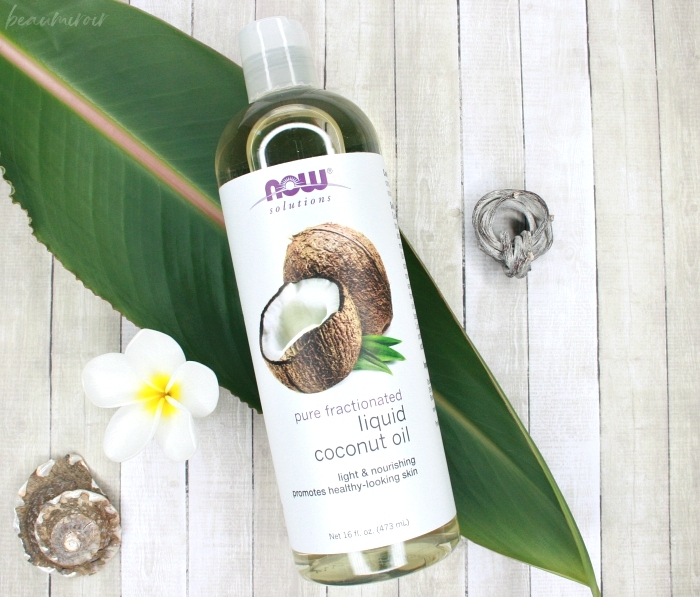 For very dry and rough areas like my feet, knees and elbows, I like to add extra moisture with the Now Solutions pure Liquid Coconut Oil ($12.22). I rub it on after my evening shower and wake up to much softer and more hydrated skin. Coconut oil is also great for massages, you can add a drop of any essential oil of your choice for a scented experience. 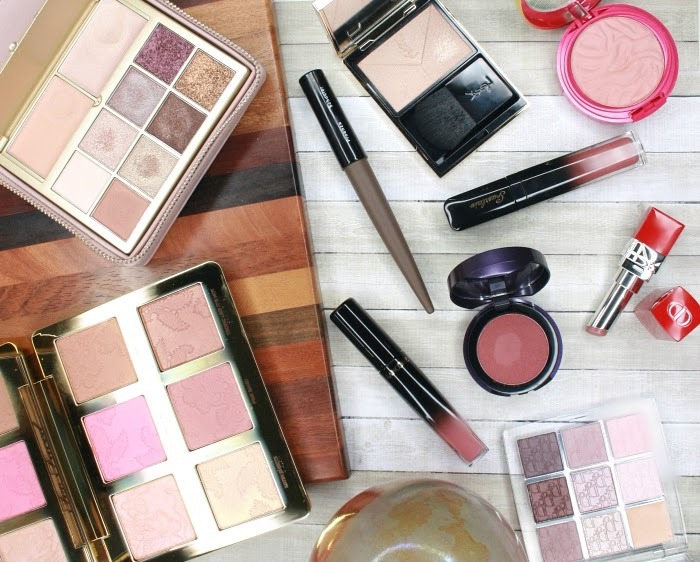 TIP: get that glow with oils! - Body butters are the most convenient, but oils have the added benefit of leaving your skin slightly shiny, giving you that healthy glow everyone is after! Apply a pea-sized drop of oil to your legs, arms, shoulder and décolleté after the body butter for that "summer goddess glow" look. 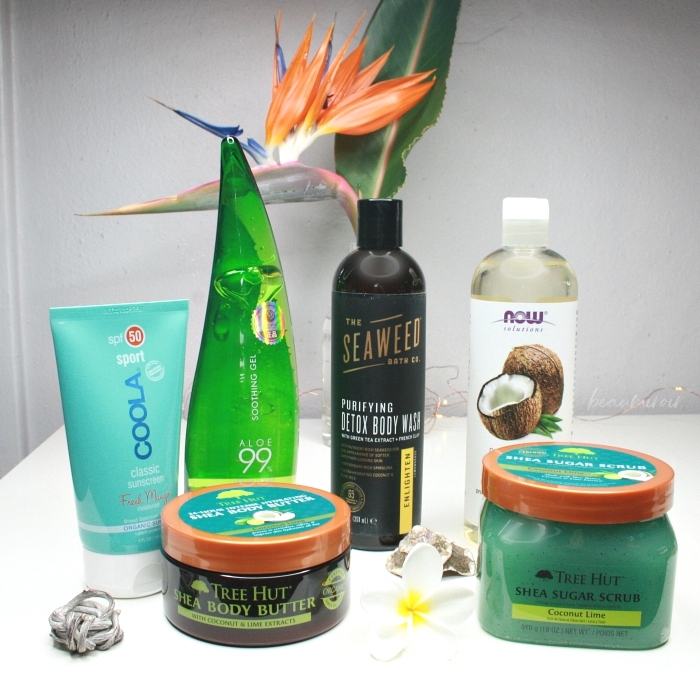 iHerb is an online retailer that carries more than 7,000 bath and beauty products from a variety of brands. They ship to over 160 countries and their customer service team provides support in 10 different languages. I love their bath and body selection, but they also have a huge K-beauty section with skincare as well as makeup! I find iHerb's website very easy to navigate and they have all the information I need about each product, including the full ingredients list. Expedited shipping was very affordable, and I received my order 2 days after placing it. Everything was very well packaged - I was a little nervous about the coconut oil spilling everywhere, but there were no leaks or anything! In fact each product was put in a small sealed bag for safety. Overall my experience with iHerb was very positive and I will certainly order again. Try iHerb too: All Customers can get a discount off their iHerb order and New Customers can get an additional $5 off their minimum $40 order by clicking here! 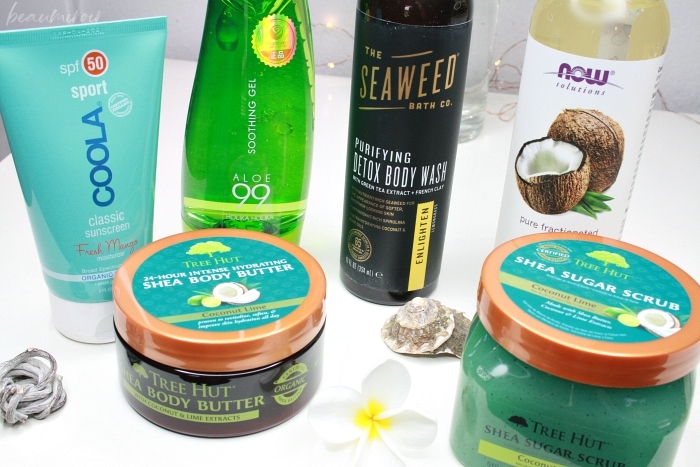 Do you have a summer body care routine too? What do you like to use? Thank you iHerb for sponsoring this post! 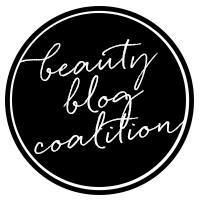 Sponsorships allow me to keep Beaumiroir up and running, and I truly appreciate brands that value my work. This post also contains affiliate links. Beaumiroir will receive a small commission when you shop through those links, which is a great way to show your support!